SACDEP – Kenya journey 1991 – to date. Conventional Agriculture approach had come and made its contribution. Farmers in developing countries could no longer continue using high chemical- high cost export only oriented agriculture. The approach was NOT LOGICAL RELIABLE OR REALISTIC. Establishment and implementation of Low Cost External Input Agriculture – Results. 17 years later over 40,000 families in Kenya have experienced a dramatic turn around in their household economies. Farmers can build new houses, children can attend school, families can access medical care and overall family savings and investment secured. Women have attained leadership skills and become chiefs and opinion shapers in their villages. Government and other development agencies have recognized SACDEP’s S.A approaches as a success case which deserves integration in policies. SACDEP has achieved a big feet in Kenya. It has created a Logical, realistic and Reliable approach to agriculture. SACDEP strongly holds the belief that people are not just poor. What exists is a result of marginalization, poor resource distribution, oppression, fraud and disadvantages, historically perpetuated by the powerful. The reason why some continents, regions, countries or individuals are very rich while others are very poor is as a result of selfish tendencies. People or groups continue accumulating and holding wealth endlessly. Meanwhile, people considered poor rather, have enormous resources at their disposal. They have the desire to improve their lives. Yet, opportunities to achieve their goals are often hampered by denial for knowledge, skills and empowerment. Their weak positions attract more extraction of their resources by the powerful and the already rich. The Poverty cycle therefore continues. The Organization is clear that external resources do not create development. Rather, they are ejected in so as to catalyze the slow process of changing people’s lives positively. 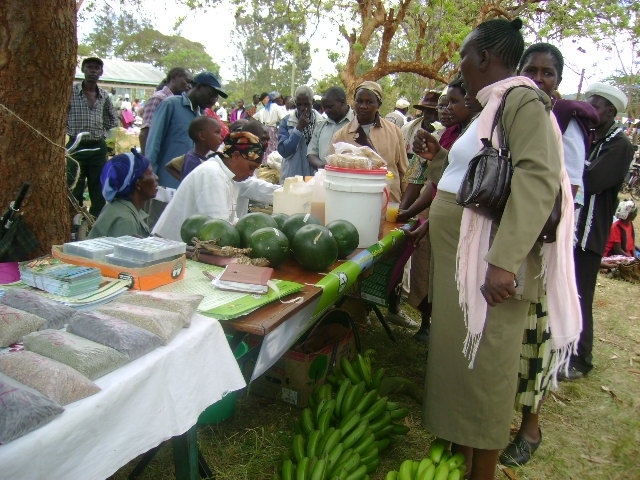 Upon provision of knowledge and skills, farmers are more exposed, informed and empowered. They are hence able to design and follow their desired destiny in life. Farmers’ mobilization and organization into agricultural development fora. Conducting hands-on training and exposure to the groups in all aspects of agriculture – production, processing, marketing or Organic products. Training and supporting farmer groups in the creation of a savings and credit culture. Documentation of Sustainable Agriculture Principles and using the same to inform and influence development policies, approaches and practices. Networking with the development Institutions of Government, funders, NGOs and individuals committed to Sustainable Development and empowering of people. SACDEP-Kenya is a given leadership by 7 persons Voluntary Board of Trustees. They are all Kenyans with a rich background in Sustainable Agriculture and People’s development. The CAP Sector is responsible for designing and implementing S.A projects at community level. The sector strives to turn around the lives of 5,000 families every year in over 14 Districts in Kenya. It obtains funding from small, medium and large funding Institutions and Individual persons. This sector is responsible of generating project funds through provision of accommodation and administration services. Using SACDEP’s Seminar and Conference facilities in Thika Town, the sector gives some surpluses for small community projects. Currently, the sector is working towards increasing accommodation space to 80 beds. The goal being to establish an ENDOWMENT FUND. Over many years of work, the Organization has established that there is not enough qualified personnel with a clear understanding on the Principles and Practices of S.A. As such, it is still difficult to achieve adequate Informing and Influencing Personnel on SA at National level. Undertaking detailed and Scientific Research on S.A also remains a big challenge. Our mission as an organization is to facilitate sustainable development for communities in Kenya and the East African Region who have low access to resources, to enable livelihood improvement through Sustainable Agriculture principles and practices. 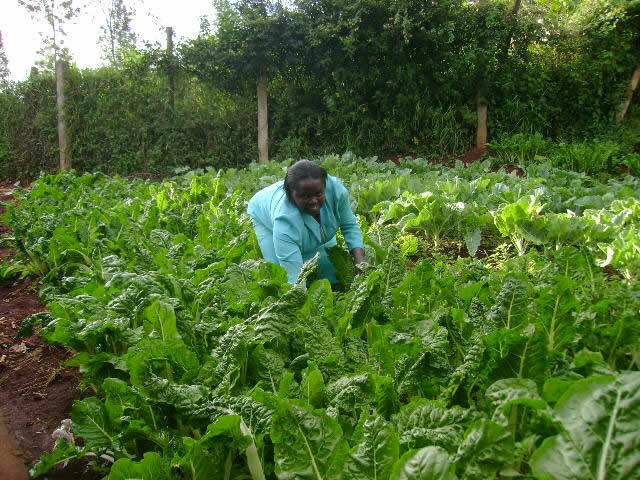 Kenya and East Africa Region whereby hitherto resource limited farming communities are realizing and utilizing their full potential in improving and sustaining their desired levels livelihood. Economic feasibility to farming enterprises especially for small-holders. Environmental soundness to all agricultural undertakings. Social justice to all especially small-holders. Cultural acceptability to all initiatives introduced.